What's the first thing you pack when you go out crafting? For me it's my Snail tape runner and a refill. 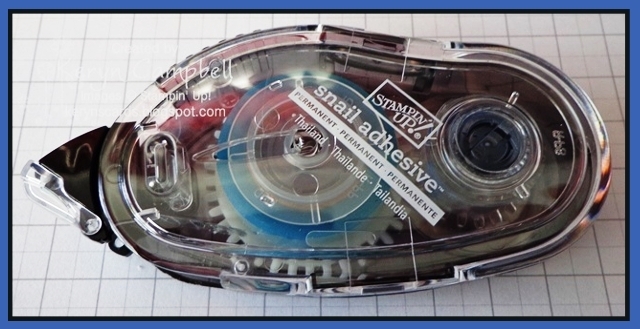 Even if it was a brand new unused snail I'd still pack a refill. I think if I ran out of snail my crafting would just grind to a halt. So how to you change the refill? With your thumbs pull the snail apart at the point indicated by the arrow. Throw the clear piece away. 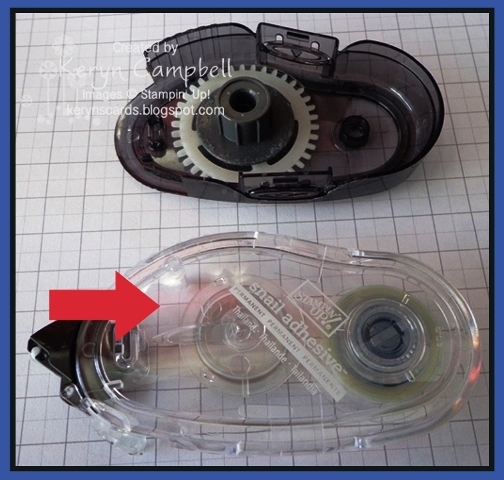 Take the new refill out of it's packaging and remove and throw away the piece of yellow spacer card. Snap it back together and you're done. All ready to use again.